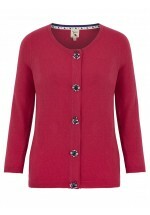 Woven in a wool blend, this jumper from Uttam Boutique featuring long sleeves, a round neck and.. 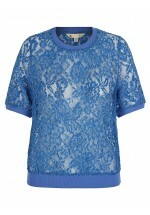 Falling above the knee and with a shimmery metallic lace overlay, this party dress also features a w..
A tropically-themed T-Shirt from Uttam Boutique. 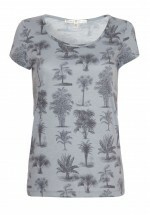 It features an all-over palm tree print, scoop neck.. Falling at the knee this black pencil skirt features Ponte fabric, notch detailing and a slim black .. 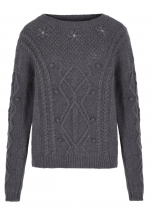 This wool mix cable knit jumper features embellished folk flowers, a round neck and long sleeves. .. This embellished chunky knit jumper with round neck features a gold chain around the neckline, a gol..
A simple short-sleeved black top featuring Yumi's exclusive in-house designed embellished neckline.&.. 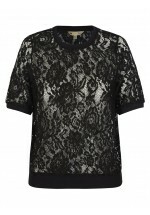 In a pull-on shape, this short-sleeve top from Yumi features an elasticated waist-band, round n.. 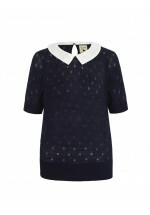 In a polka dot knit, this short-sleeve jumper features a lace collar, short sleeves and a button-up .. 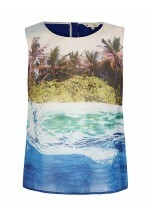 In a sleeveless cut, this tropical underwater print top features a round neckline, an exposed back-z.. 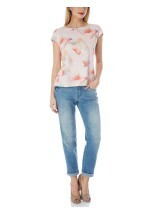 This Tee from Yumi features a breezy wings print, fake cross back detailing and a round neck. ..